One of Young Living’s most valuable assets – and one that helps solidify our position as the world leader in essential oils – is the ownership of our farms. From the United States, to France and to Ecuador, Young Living Lavender Farms are what set us apart in the competitive environment of aromatherapy companies and chemically enhanced essential oil knock-offs. 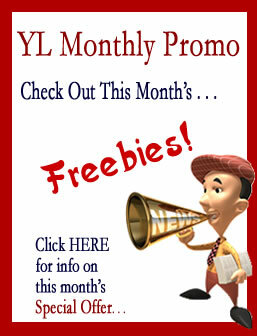 Young Living is not an aromatherapy company. We are dedicated to harnessing the power of nature in its purest form: essential oils. It is through our farms that we are able to assure oil purity from seed to seal, and include our neighboring communities in the process of harvesting, distillation, and community building events. Starting from humble beginnings on just a quarter acre of land in Spokane, Washington, Young Living now owns and operates four 100% natural farms. Young Living Lavender Farms in Mona, Utah; St. Maries, Idaho; Simiane-la-Rotonde, France; and the diverse crops of Finca Botanica Aromatica in Guayaquil, Ecuador, allow us to connect with nature. There we grow, cultivate, test, and develop the best methods for harnessing the beneficial properties found in nature. From the moment a seed is planted in the fertile ground at any one of the Young Living farms, its environment is carefully monitored and controlled in accordance with stringent standards determined by years of research and development. It is through decades of research and development that Young Living has determined the most effective methods of farming that yield the most potent essential oils on the market today. From monitoring the pH levels in the soil, to the method of stressing the plants a few days prior to harvest, all Young Living plants receive tender loving care every moment leading up to harvest and distillation. Even slight variations in proper distillation result in a dramatic reduction in the quality of oils. After extensively researching modern and ancient distillation techniques, Young Living developed a specialized process that uses extremely low pressure and low temperatures. 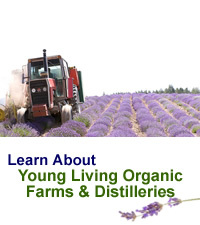 Additionally, Young Living Lavender Farm in Mona, Utah, employs its own engineer who has perfected the design of the YL distillers, as well as an on-site welder to ensure each distiller is sound and maintains ideal pressure and temperature levels. Once plants have been harvested and distilled, Young Living puts the resulting essential oils through strict quality assurance tests. Samples are sent to independent and in-house labs where they endure a battery of tests, ensuring that when you crack open the seal of a Young Living essential oil you are receiving the highest standard, in purity, potency, and preparation. Young Living Lavender Farms aren’t just for producing essential oils, they also allow us to connect with the community through a variety of fun-filled events. For example, Young Living Lavender Farm in Mona, Utah, holds the annual Lavender Days festival, a yearly 5K Run Through the Lavender, and has an on-grounds cafe that serves essential oil infused cuisine like Lavender Lemonade. All these wonderful events help build community support and awareness, allow our neighbors to reconnect with nature, and enable Young Living to share the process of seed to seal with the public. From the humblest of beginnings, to the reigning world leader in essential oils, the root of Young Living’s continued success starts at our 100% natural farms. From pH-balanced soil and top-quality seeds, to our patented distillation process and the final seal, Young Living Lavender Farms are what truly set us apart.